Phyton Biotech recently attended BIO-Europe 2018: the 24th Annual International Partnering Conference in Copenhagen, Denmark, where we showcased the potential of our award-winning and environmentally responsible Plant Cell Fermentation (PCF ®) technology for the development and commercialization of high-value plant-based compounds. The 24th annual BIO-Europe is Europe’s largest partnering conference serving the global biotechnology industry. This year´s event drew over 4,000 industry attendees from 61 countries, representing close to 2,200 companies. At BIO-Europe, Phyton Biotech had three full days of productive meetings and networking with global life science leaders. We showcased how our patented PCF ®technology is ideal for the development, production and commercialization of complex small molecules and plant-based actives and recombinant proteins for the Pharmaceutical, Traditional Chinese Medicine (TCM), Cosmetic, Agricultural and Food Ingredient industries. We had many opportunities to discuss how PCF ® offers a time, risk and cost-balanced pathway to commercially viable production processes, overcoming limitations and drawbacks often experienced with traditional plant extraction and chemical synthesis. 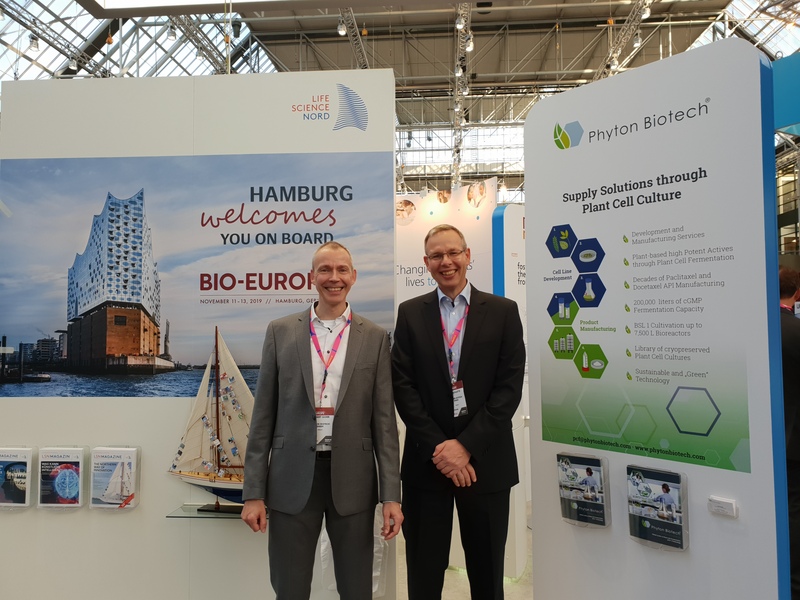 We are already looking forward to next year’s BIO-Europe convention in Hamburg, virtually on the doorstep of Phyton Biotech’s German facility. Phyton Biotech offers a full range of integrated contract product and process development and commercial manufacturing services across the entire development chain, from feasibility to commercial production. Find out more information here.